The 32nd annual Holiday Homes Tour took place on Sunday, December 2nd this year. The Vista Community Clinic Holiday Homes Tour is a favorite tradition of the season for hundreds of area residents. Held on the first Sunday of December each year, the tour provides a close-up look at some of the most beautiful homes in the area. Proceeds from ticket sales and sponsorships benefit VCC’s Kare for Kids Fund, which helps us create warm and welcoming pediatric facilities to promote healing and a love of reading in our young patients. Tickets are $25 in advance and $30 at the door. The event is open to ages 12 and up. If you missed out on this year’s festivities, stick with us to get reminders on next years! You can follow us on Facebook and Instagram for design ideas, raffle sneak peaks, up to date information on what we’re doing, and more; just click on the link above or look for @vccholidayhomes on either social media platform to find us. If you have any questions about how you can help next year, or if you would like to be a part of our special event as either a potential show-home or vendor, please contact Betsy Heightman at 760-631-5000. This one story beauty was built with every inch in mind. When it was time for retirement, homeowners discovered this new development allowing them to customize all of the home’s interior, and build the retirement home of their dreams. With upgrades like a freestanding tub in the master bathroom, farm sink in the kitchen, Satin Marble kitchen island, Caesarstone quartz countertops, and French doors leading out to the patio, the home has a personal feel throughout. All of the home’s interior finishes and most of the furnishings were selected with the help of professional interior designer Terri Parsons. The outdoor landscape was designed by Nan Sterman, who hosts “A Growing Passion” on KPBS, and includes a beautiful fountain, well shaded areas for relaxing and a vegetable garden fit for the retired couple. 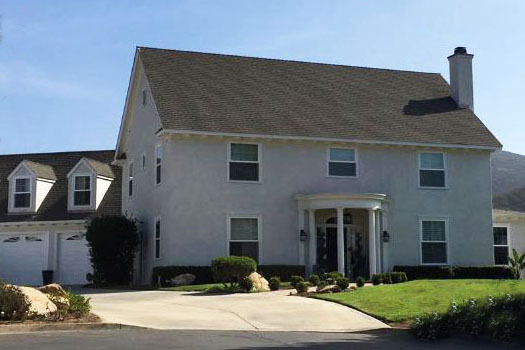 Welcome to “Michalowski House”, the 11th of 13 residential program homes owned by TERI Inc., a nonprofit founded in 1980, serving more than 600 individuals with autism and other special needs, and their families. This beautiful home reflects the standard of excellence that each of the TERI homes aspires and adheres to, all the while accommodating individual needs and comforts. The back yard is a wonderful space that encourages social and sensory activity; the layout offers a variety of activities including a trampoline, swings, fire pit, and lovely pool and spa. The house is also equipped with solar panels, supplied by Baker Electric. The fine artwork found throughout are created by TERI artists themselves, making this house really feel like a home. 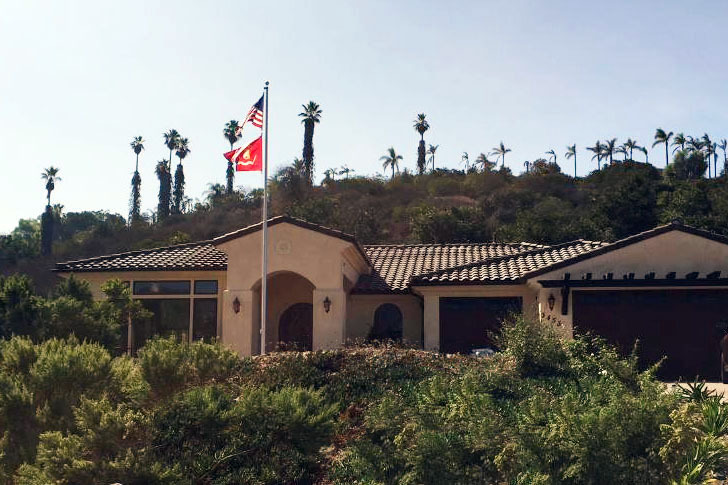 This very special custom built smart home is a part of the Gary Sinise Foundation R.I.S.E. program for wounded veterans. The home demonstrates traditional Spanish style while also incorporating the couple’s eclectic tastes and unique colors throughout. A beautiful arched wooden doorway greets you at the front, immediately commanding your attention. The well-lit interior includes beautiful views visible through the many windows of the home. The open floor plan, hardwood floors throughout, large hallways, extending cupboards, slanted countertops, custom bench in the shower, etc., all lend a hand to making life a little easier for the veteran that resides here. As well as featuring 27 solar panels, the smart home has all of its electronics connected to an app that allows the homeowners to easily control the lighting, sound, and temperature from the touch of a button. 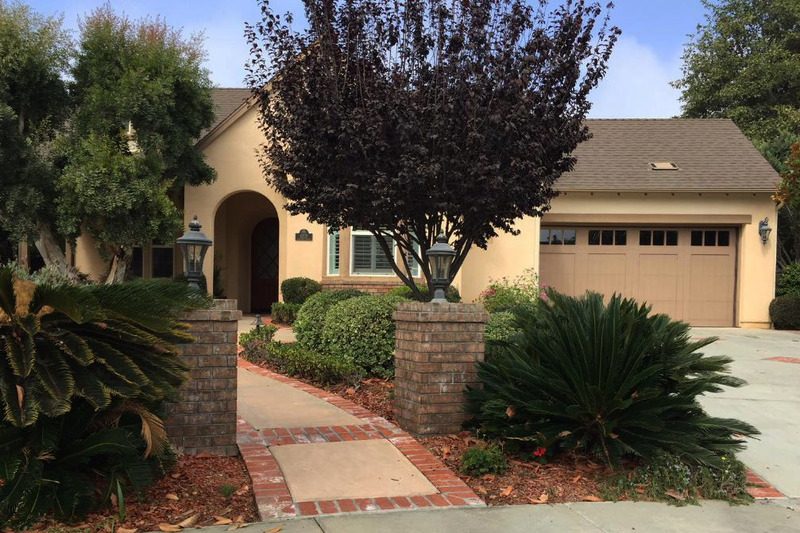 This lovely home is nestled in the Vista hills of Buena Creek. The 5 bedroom, 4 bathroom, 4,000 square foot home has a colonial style look and feel. 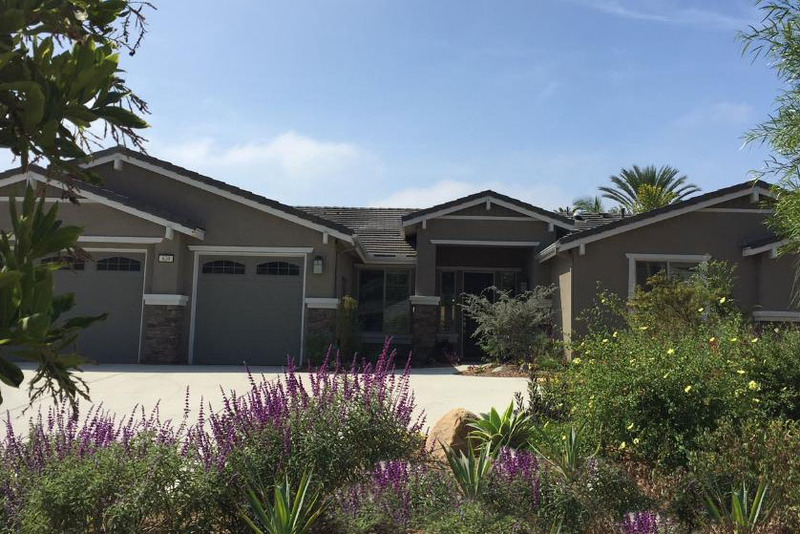 This home has been beautifully designed and decorated in a traditional style, and has recently gone through an exciting remodel when homeowners decided to enlarge their home to accommodate their growing family. A new guest suite, an additional family room, as well as an updated master bedroom and kitchen were all part of the remodel. While the home boasts of many traditional features, including beams, shiplap ceilings, and European white oak wood plank flooring, it also features modern touches. The classic grey color choices and lighting fixtures found throughout lend themselves to a modern style in design; bringing together the past and the present in home design. Are you looking for something special for your loved ones this holiday season? The Holiday Gift Bazaar, featuring the work of local artisans, is the perfect opportunity to buy unique, handmade gifts. Visitors can browse through dozens of vendor booths and shop for jewelry, handbags, chocolate and more! There will be a raffle of spectacular gift baskets featuring wine, gourmet food, hotel packages, jewelry and tickets to San Diego attractions. There are many ways to lend your support to the Holiday Homes Tour including event sponsorship, joining the Holiday Gift Bazaar as a vendor and donating to the gift basket raffle. To learn more about sponsorship opportunities, please contact Betsy Heightman at 760. 631.5000, x1139 or betsy@vcc.clinic. We would like to give a big thank you to our 2018 Holiday Home Tour sponsors for their support!